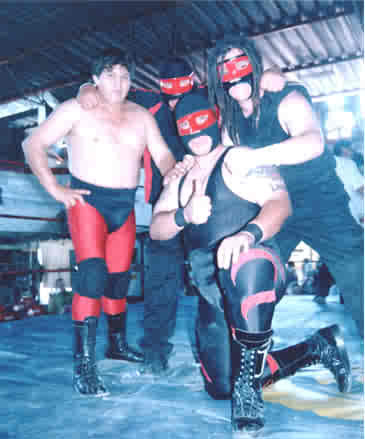 Lemus2 "Gallery Of Pictures" Mi Familia!!! 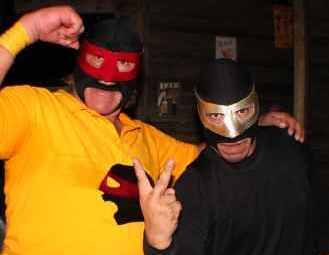 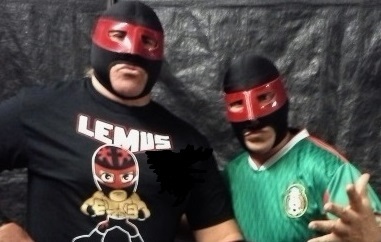 (1980)"Lemus I vs Mr Lince" Mask vs Mask!!! 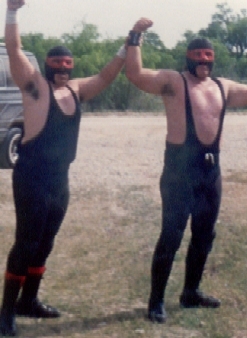 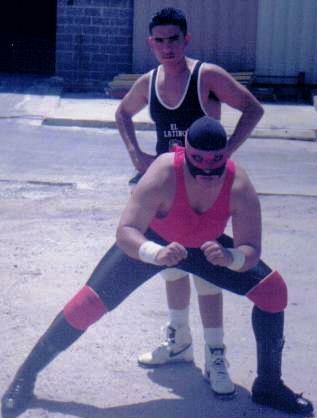 My uncle & cousin & this pic taken in 1990, Arena Valadez. 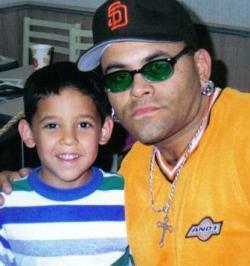 (1997)The WCW Era, My son Frankie with "Konnan"
(2014)TWF, Gonzales, TX The Faction of "Lemus I & Dos"
(2003)"Lemus I, Dos & Jr w Marvik(2013) TWF, Cuero, TX The Team Of "Lemus Dos & Jr"
(1992-93)With visions of lights, screaming fans & chingazos, Lemus II & El Latino emerge ringside! 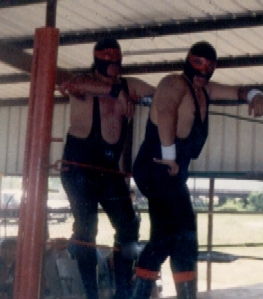 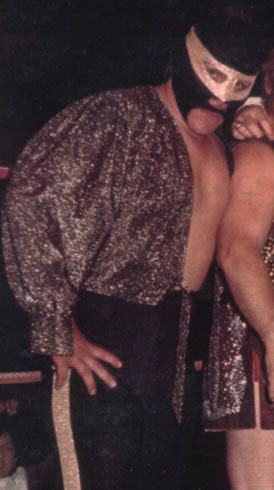 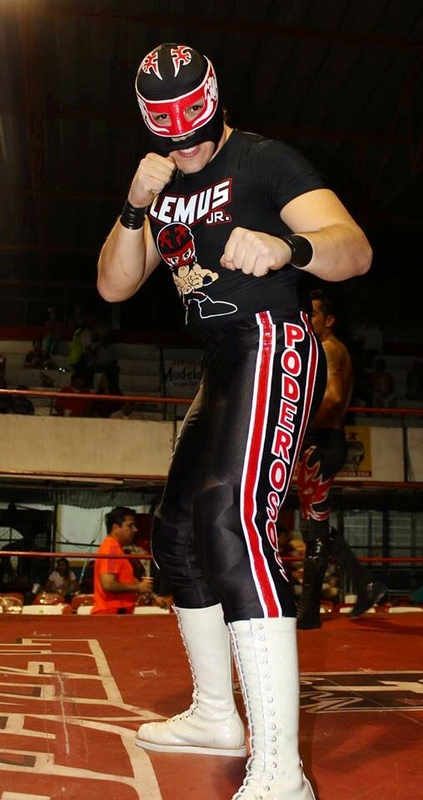 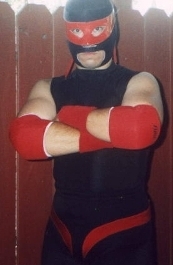 (1998) El Latino's short stint as Lemus III!!! 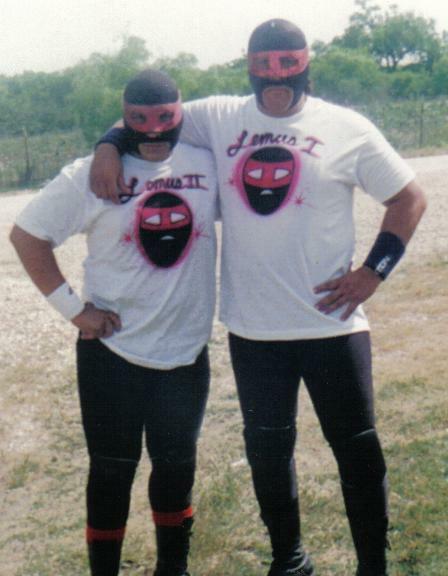 (2012) SCW Lytle, Tx "Los Lemus"